I want to begin this edition of Hail Pikeville with a declaration about what a fabulous time KPGFootball had at the Pikeville game. We were able to attend Pikeville’s game with Williamsburg where Pikeville would win its 23rd Regional Championship and berth in Kentucky’s Final Four for its football classification. We got a tour of the facilities, both those completed and those on the brink of conclusion, and Pikeville’s program is cutting-edge and takes a back-seat to no program we have ever seen anywhere across the Commonwealth of Kentucky. From Coach MacNamee, his assistants, the VIP tailgate, to the whole she-bang, we experienced nothing but first-class amenities, football, food, and people. Now on to the football side. Guys, KPGFootball’s ability to pick the winner and nearly forecast either the exact score or margin is getting pretty scary. For now the sixth time this season, KPGFootball, 4-5 days ahead of the game, was able to almost nail either the exact score or margin of the ball game to be played. For those who maybe reading this for the first time, allow KPGFootball to bring you up to date with what we have done thus far. On November 4, 2018, we forecast Pikeville would beat Lynn Camp 51-14. The final margin five days later…55-8. Prior to Lynn Camp, and to refresh your memory even further, we called Pikeville over Hazard by 7 and the final margin was 6 points; in the Tolsia game, we predicted… PHS 47 – Tolsia (WV) 0. Pikeville ended up winning the game, 48-8; we picked Pikeville to beat the Grundy Golden Wave, 47-6, when the actual scored ended up being 47-8; and we predicted Pikeville would beat Phelps, 44-7, and the actual margin ended up being 47-0. Now for those who didn’t read our scout in the papers handed to the patrons who attended the game (and go check if you have any doubt about the truth regarding what I am about to say), on November 12, 2018 we called Pikeville beating Williamsburg 54-14. On November 16, 2018 the game was actually played. The final score was 57-16! At this point, we don’t even believe how accurately we have been able to forecast the outcome week after week but we still haven’t hit the number exactly (which is what we intend to do this week; oh yes, THIS IS THE WEEK!). Let’s stay on our proven formula (patent pending) and break down this match-up by looking both backwards and forward and, at the end, we will give you our prediction as to how we see this resolving. Well, it was a dominating performance from the Panther team on both sides of the football. Pikeville got the opening kickoff and ran a zone read play, on its first play from scrimmage, to the left side which went to the house staking Pikeville to a 6-0 margin, literally seconds into the contest. We were really impressed with the push up front the offensive line got and much of that has to be credited to the big guys. 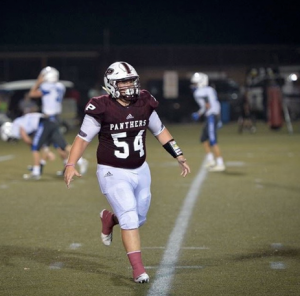 We have talked all year about The Bull, Bradyn Hunter, but we would like to give some press to the fantastic man in the middle for the Panther front, offensive center, Junior, Cade Slater. Slater is quick off the ball, snapping the football and firing into engagement in simultaneous motion. Slater and Connor Roberts’ pre-snap reads looked in sync all night and Slater appeared to have the line appropriately fitted whether drive blocking for the run or protecting the QB setting up to deliver the ball down field, both of which the offense did against Williamsburg equally well. Defensively, we predicted the QB for Williamsburg, former Team Kentucky member Dalton Ponder would have to be contained and he certainly was. Williamsburg gained 43 yards all night running the football and Ponder was 10 for 19, through the air, for 159 yards. Much of the passing success occurred when the game was already out of reach which was from the beginning of the second quarter until the end of the game. Ponder threw for one TD but had a thrown interception too. From beginning to end, this game was never in question and the Williamsburg team now begins its basketball season, saying good-bye to 2018’s football season, with a very fine 9-3 final mark. The Raceland Rams will be the next team to visit Pikeville. Raceland, just last year, played for in the Championship game and has gone 11-2 so far in 2018, winning Friday night, 14-7, over Paintsville in Paintsville. In beating Paintsville Friday night, Raceland avenged a 6-0 loss to Paintsville suffered October 19, 2018 in Raceland. These two teams have one common opponent and one opponent whom may bear some relationship with both teams, which will be explained shortly. On September 7, 2018 Paintsville lost at Pikeville 36-13. On October 19, 2018 Raceland hosted Paintsville in Raceland and lost that game 6-0. On November 16, 2018, Paintsivlle hosted Raceland for the Regional Championship on the line and, this time, Paintsville lost 14-7. 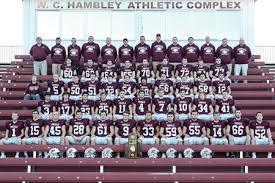 Though this isn’t a common opponent, there is some relation existents with Pikeville’s losing to Belfry in Pikeville on September 14, 2018, 36-21. Belfry beat Lawrence County 56-28 on October 12, 2018, and Raceland beat Lawrence County, August 17th, 31-12. Raceland throws the ball very well, as did Williamsburg, with QB Jacob Heighton completing 111 of his 176 passing attempts (.6306818 completion percentage) for 1,823 yards and 25 TDs, against only 3 interceptions. Heighton is a threat with his feet too as he gained 476 yards rushing in 126 carries with 6 rushing TDs on the ground over the first 13 football games. The Rams have run the ball effectively this year, gaining 2,468 yards on the ground as a team, with Hunter Lacks leading the way with 1,029 yards over 157 carries and 11 rushing TDs. Judd Adkins gained 675 yards rushing this year, carrying it 117 times with 6 rushing TDs. Together, Adkins, Lacks, and the QB, Heighton, are 400 of the team’s 471 carries and 2,180 of the team’s 2,468 rushing yards. Counting the passing game into the total offense category, those three players are 3,994 of the team’s 4,382 total offensive yards. Those three players represent slightly over 91% of the offensive yards, 82% of the rushing TDs, 100 % of the TDs thrown, and 91% of every TD scored by the Rams’ offense on the year. Gunner Lewis is among the leading receivers with 30 receptions for 616 yards and 11 TDs, with Dalton Adkins, out of the backfield, contributing 36 receptions for 494 receiving yards and 2 TDs. Defensively for the Rams, opponents have to know where number 25 is at all times. Nolan Smith, who wears that number, is leading the Rams stop-squad with 98 tackles, 11 tackles for loss, and 8 QB sacks this season. Dalton Adkins has 92 tackles, 4 TFLs, a fumble recovery, a forced fumble, and 3 interceptions, tied for second on the team with Mark Cox and behind only Gunner Lewis’ 5 picks. The Defense has been a mixed bag against the pass all year. On the one hand, the defense has allowed their opponents over 1,500 yards passing on the season (which is a lot) but have sacked the QB 34 times and intercepted him 19 times. Sort of a high-risk/high-reward/high-yield type of approach. The Rams have scored an average of 31.15 points per game this year, while the defense has allowed only 12.62 points on the year. So while the defense seems to break some, though not much (only a fraction over 205 yards of total offense allowed per game), they don’t seem to break often. The Rams have been particularly unwieldy against the run this year, only allowing opponents to rush for 85.38 yards per night. 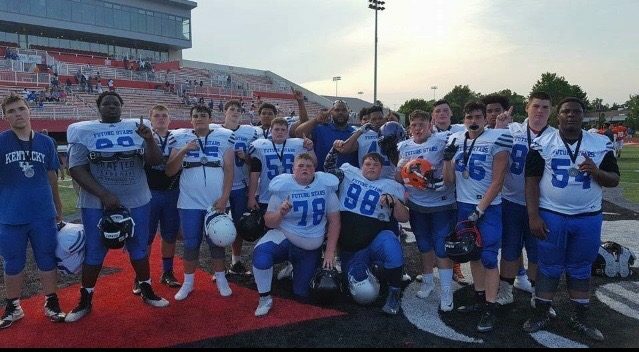 Raceland is the 31st best football team in Kentucky, regardless of classification, and ranked number 2,712th in the Country among high school football teams according to both the CalPreps.com and MaxPreps.com computer algorithms. 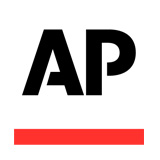 According to the same two computer programs, Pikeville is ranked 24th (KY) and 2,159th (USA) respectively. 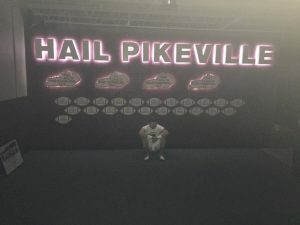 Pikeville has played a team which is slotted 16 positions higher than Raceland in Belfry, which beat the Panthers 36-21 early in the year, and have played a team slotted 15 positions lower than Raceland, in Paintsville, whom both teams beat this year, but Pikeville handled easily at home, in September, 36-13. Raceland lost to Ashland-Blazer, 21-14. Ashland-Blazer is ranked 2 slots lower than Pikeville (at number 26 in KY) and Raceland’s losing to Ashland-Blazer in Ashland, Kentucky, holds some sway with how we see this game going Friday night. What also holds some sway, with KPGFootball, is that Raceland played Paintsville twice, losing October 19th, 6-0 in Raceland, and winning November 16th, 14-7 in Paintsville. What that tells KPGFootball is there isn’t much difference, ability wise, between Raceland and Paintsville. 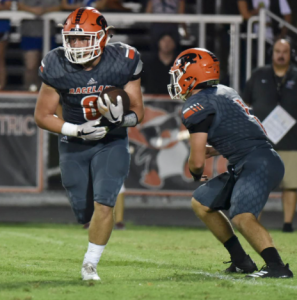 Raceland has beaten a team slotted pretty evenly in the KY overall rankings with Pikeville when it beat 28th ranked Somerset at Somerset High School 19-17 on September 28th. All of this tells KPGFootball that Raceland will play up to better opponents and will especially do this on the road, like they will be Friday night. This could be a very close game. As the game will be close, remember this statistic as it might well bear some significance…Raceland is suspect in the kicking game. Raceland’s kickers (and they used two interchangeably) have made just 32 of the 55 attempted PATs on the season. Folks, that is only 58.2% on PATs! Pikeville’s Tanner Hamilton is making 89.5% of his PATs. Pikeville has successfully converted 19 two point conversion attempts, while Raceland has converted only 7. Statistics like these could make a difference this Friday night. 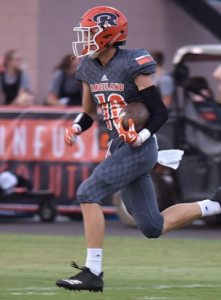 Taking all the above indicators into account, on the year, Raceland, unlike Williamsburg in the Regional Championship game, has played Championship-worthy defense in only allowing slightly over 200 yards a night in total offense and a fraction over 12 points a night in scoring. The Rams have scored, on the season, around 31 points a game. The Panthers’ defense, over its 12 games, has allowed right at 15 points a game, while scoring 43.58 points, on average, every night. The two teams are pretty even on the defensive side of the ball, both of them playing well enough to win the State Championship. Offensively, the Panthers have a more polished offensive attack, running and passing the ball well, and scoring the football much more effectively than have the Rams so far this season. In addition, and we almost never comment on the injury status of a player, but a little bird has told us Raceland has suffered an injury to a key player whom amounts to one of the Rams’ very best, so (at this time of year especially) issues of the sort play a big part of forecasting winners and scores and the like. The Panthers have only allowed 51 yards a night through the air, ball park, and the Rams are accustomed to both throwing the ball effectively and scoring the bulk of its TDs through the air, as its 25 passing TDs would indicate. If it gets down to the kicking game, which games this far into the year seem to do, KPGFootball believes Pikeville has a decided advantage. We believe Pikeville is 8 points better than Raceland and Pikeville will get 3 additional points for being at home. Join us next week as we look back at this game and preview the next match-up and give us a follow on Twitter @KPGFootball and subscribe to the on-line magazine by going to www.kentuckyprepgridiron.com and follow the prompts. Until next week, Panthers, this is Fletcher Long, reporting for KPGFootball, reminding all of the ballers out there to PLAY THROUGH THE WHISTLE.